In accordance with our strict security procedures and our dedication to 100% uptime, Colocation America offers two levels of data center redundancy for both power and connectivity. We understand that it is an important essential for businesses operating in today’s marketplace to have their IT system be available at all times. We have built the data center redundancies to ensure that your hosted servers and, more importantly, business crucial data will be available when you need it. With an uninterrupted power supply system in place, we can ensure that your server will have the resources necessary to stay available 24/7. Power outages can happen which is why we designed our data center to be able to deal with such disasters. Regardless of the reason; whether it is weather, human error, or equipment failure, our UPS system with N + 1 redundancy are there to keep your server running even in the most extreme situations. 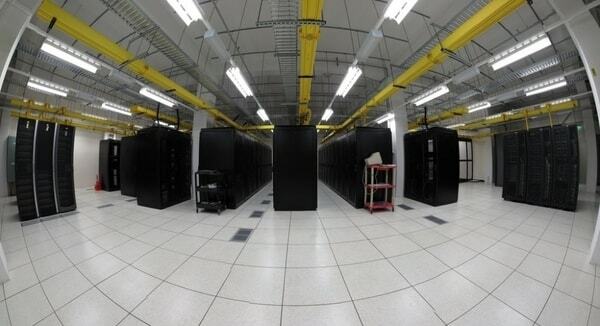 In regards to the N + 1 redundancy, we have several key power components within our data centers including main power source from utility, back-up generators, uninterruptible power supplies (UPS), power distribution unites (PDU), rack level PDU and internal power supplies to help power each server. Companies that demand high availability from their IT system can rest assured when hosting within our facility. Our redundancies will operate without fail so that businesses can safeguard their critical data and hardware without having to sacrifice accessibility. Keep your servers operating at optimal level with one of our colocation and dedicated server hosting plans. Having the connectivity to stay online 24/7 is one of the core focuses we had when Colocation America first started. Our data center facility are designed to ensure that every servers hosted with us can expect to stay online at all times. With several connectivity redundancies in place, we are proud to say that we have had several years with no downtime. We are committed to being a dependable hosting provider that offers enterprise level hosting services for businesses that need an off-site space to host their IT system. In order to ensure that your server has enhanced connectivity supported by a highly redundant network, we have built our data center facility with a diverse network infrastructure to keep you connected. Your servers will be hosted in the central connectivity hubs where many Tier-1 carriers reside. In addition to our establish network map, you will also be able to directly connect your server with several global ISPs through the use of our carrier neutral data center. Hosting your IT system in our facility will help you cut cost, improve your connectivity, and keep your business operating through any disaster.